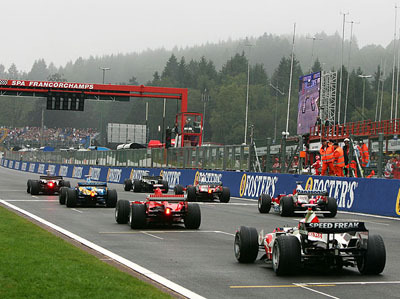 According to reports elsewhere, the 2006 Belgian Grand Prix has been cancelled. However, these reports are based on the comments of a Belgian politician who has a reputation as being something of a 'loose cannon'. As of Friday afternoon, the FIA is unaware of any change to the circumstances surrounding the Belgian Grand Prix, while F1 supremo, Bernie Ecclestone, is out of the country. Therefore although there might be reports that the event, something of a political football in Belgium, has been cancelled, none of this is official. In last year's FIA survey, 53% of fans said their interest in Formula One would decrease if Spa were to be removed from the Championship. Popularity wise, the Belgian track was only beaten by Monaco. Belgians close to agreeing Spa deal?